YouTube has updated their iOS app to add support for iMessage, which now makes it finally easier to share videos. The new integration adds YouTube into the iMessage app drawer, so you can search and share videos directly into your conversations. 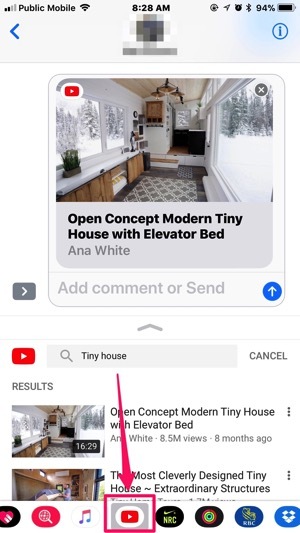 As you can see in our screenshots above, tapping the YouTube icon in the app drawer brings up search and with one tap, videos appear into your conversations. From here, you’ll be able to tap and watch the video right within iMessage, with an option to ‘open app’—YouTube. You can still share videos with the YouTube iOS app’s share feature, but you need to either copy and paste a link or go through the share sheet and enter in a contact’s name in iMessage.